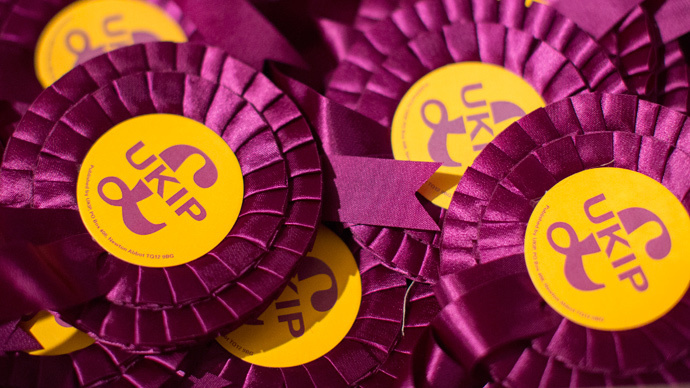 A UK Independence Party (UKIP) general election candidate who claimed mass immigration had caused the Israel-Palestine conflict earlier this week left audience members gathered in a London town hall speechless. Freddy Vachha, who is standing in Greater London’s Chingford and Woodford Green constituency, shocked audience members gathered at the general election event when he said “out of control immigration” is the root cause of tensions in Israel, Gaza and the West Bank. Vaccha made the controversial remarks after an audience member asked him how the party would ensure the Israeli administration is held accountable for violating UN resolutions. Reflecting on decades of bloodshed and violence in the region, Vachha argued the Israel-Palestine conflict is the source of an important lesson. “The land into which expatriated Jews returned was not empty, it was filled with Palestinians. When the numbers were small, the two got on harmoniously,” he claimed. Monday’s general election event in South Woodford was also attended by Trade Union and Socialist Coalition (TUSC) candidate Len Hockey, Class War candidate Lisa McKenzie, and Green Party candidate Rebecca Tully. Commenting on the Israel-Palestine conflict and Israel’s repeated violation of international law, Class War candidate Lisa McKenzie said there was little she could do on the issue. Meanwhile, the Green Party’s Rebecca Tully accused Labour’s Stella Creasy of refusing to discuss the topic with her or local Walthamstow residents. Although Tory Work and Pensions Secretary Iain Duncan Smith was invited to the event, he failed to make an appearance. His failure to attend the meeting stoked the ire of local voters who noted he was the only candidate canvassing for the election who was absent. Local paper, the Chingford Guardian, reported Duncan Smith as citing “a late change in his schedule” as the cause of his absence. Observers have wryly noted the Tory Work and Pensions Secretary has been a leading advocate of monetary sanctions imposed against Britons who fail to attend interviews or JobCentre meetings. Nevertheless, Smith is unlikely to forfeit his seat, which has been under the Conservative’s watch since the constituency's founding.